As a Cavalry Fire Protection Services client, we provide a system that meets your capital needs, provides customer responsiveness and value added services for cost effective operation and maintenance. Cavalry Fire Protection Services maintains continuous liaisons with manufacturers so that we are able to offer our clients the latest technologies and the best available products. By attending manufacturer's seminars, continuing education classes on National, State and Local Codes, we are able to assist our clients in making the right choice for their present and future fire protection needs at the most effective cost. Cavalry Fire Protection Services is dedicated to providing both strategies and results for the challenges of today's fire protection concerns. Our customers have to comply with today's regulatory environment and protect their valuable assets and people in a cost effective manner. Our goal is to develop cost effective solutions that will allow you to direct your energy and resources to your main business, minimizing the amount of time spent dealing with technical and maintenance issues. 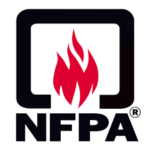 National Fire Protection Association delivers information and knowledge through more than 300 consensus codes and standards, research, training, education, outreach and advocacy; and by partnering with others who share an interest in furthering our mission. NFPA membership totals more than 60,000 individuals around the world. 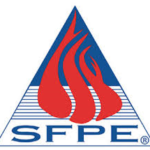 The Society of Fire Protection Engineers (SFPE®) was established in 1950 and incorporated as an independent organization in 1971. It is the professional society representing those practicing the field of fire protection engineering. The Society has over 4,500 members, 71 regional and local chapters, and 16 student chapters worldwide. The National Minority Supplier Development Council Inc ® (NMSDC®) is one of the country’s leading corporate membership organizations. Our corporate membership includes many of the largest public and privately-owned companies, as well healthcare companies, colleges and universities.